Capture HD, Ultra HD, DCI 4K video, and RAW still images with the 256GB Cinema CFast 2.0 Memory Card from Delkin Devices. This CFast 2.0 memory card supports enhanced data transfer rates with read speeds up to 560 MB/s and write speeds up to 495 MB/s. Data transfer rates this fast make it simple to transfer even large 4K video files to and from your computer quickly. The Cinema CFast 2.0 Memory Card is designed to work with cameras supporting the CFast 2.0 card standard and has also been tested with cameras from a variety of manufacturers including Cannon, Blackmagic, and Atomos. 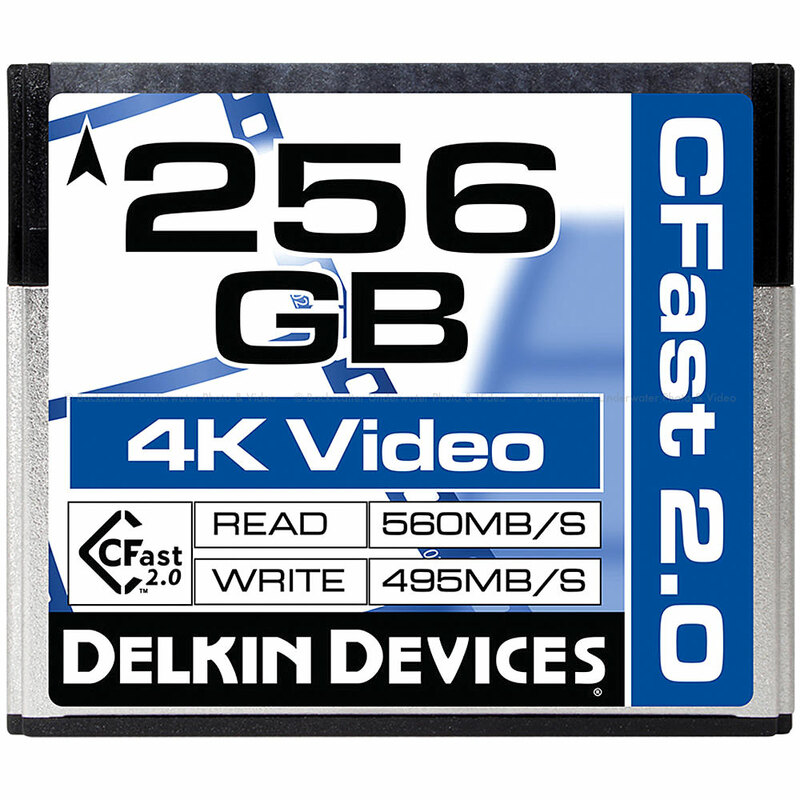 The Delkin Cinema CFast 2.0 Memory Card utilizes the CFast 2.0 interface and custom programming to achieve write speeds up to 495 MB/s. This guarantees peak performance in the most demanding cinematic shooting modes, including HD, Ultra HD, and DCI 4K video, as well as burst mode RAW still image capture. Designed and tested for full functionality and performance in cinematic hosts from Canon, Blackmagic, Atomos, and other leading CFast host devices.